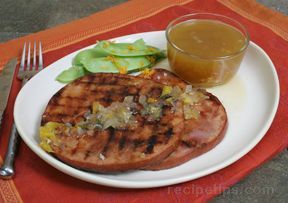 Tender ham served with a sweet-and-savory compote of apples, onions, fresh ginger and currants. 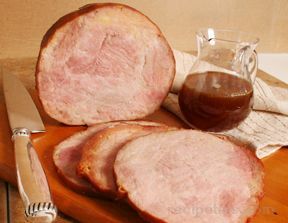 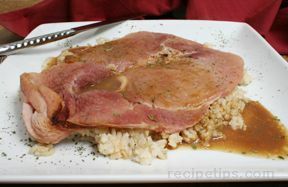 Prepare ham according to package directions, uncovering and brushing with glaze the last 30 minutes of the baking time. 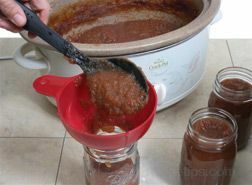 Glaze: Mix apple butter and 1 cup juice concentrate in small bowl until well blended. 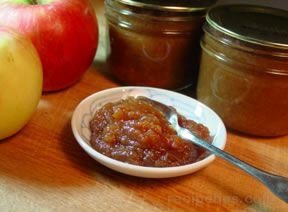 Apple-Ginger Compote: Melt butter in medium saucepan over low heat. 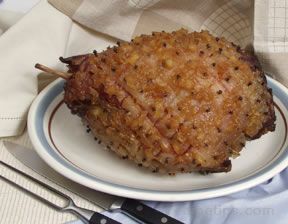 Add onions and ginger; cook 5 minutes, or until onions are tender, stirring frequently. 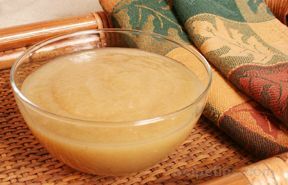 Stir in brown sugar. 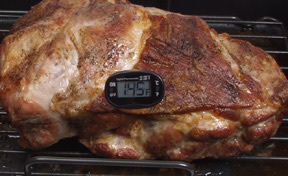 Increase heat to medium. 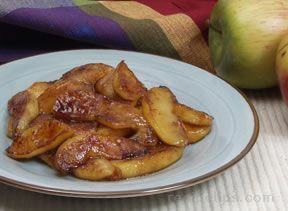 Add apples; cook and stir 8 minutes, or until apples are lightly browned and tender. 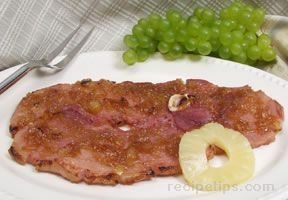 Stir in vinegar; cook 1 minute. 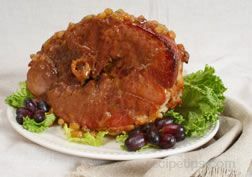 Add currants, 1/4 cup juice concentrate and the red pepper; mix well. 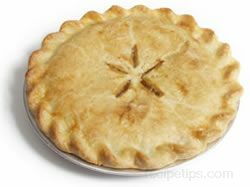 Remove from heat; set aside. 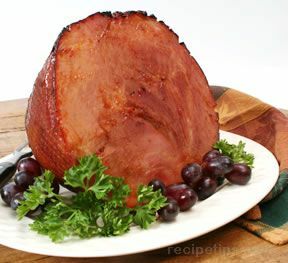 Transfer ham to cutting board. 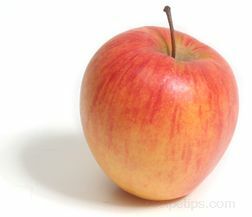 Let stand 10 minutes. 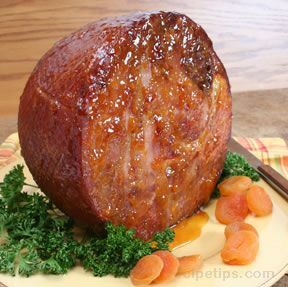 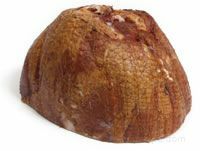 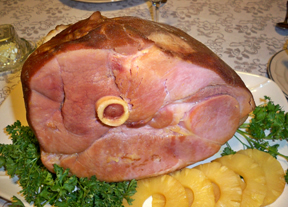 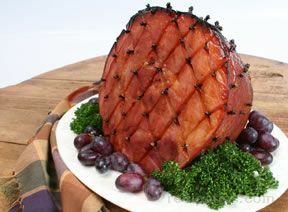 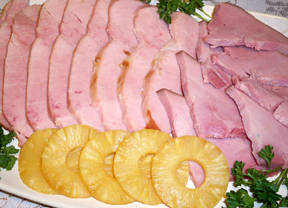 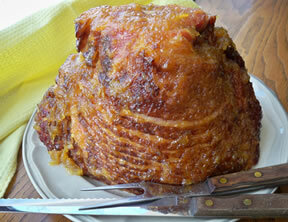 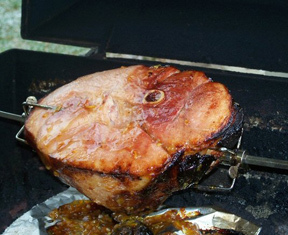 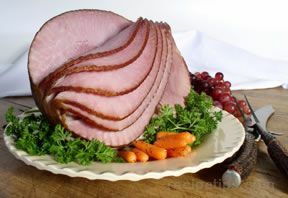 Carve ham into 1/4-inch-thick slices. 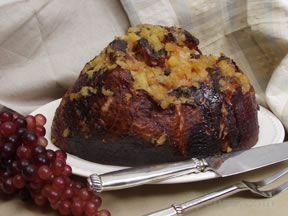 Serve with the Apple-Ginger Compote.